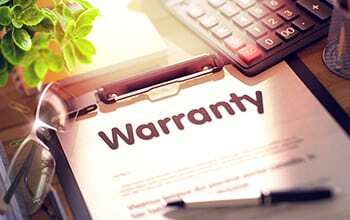 Generally, new vehicles come with a standard manufacturer warranty. But, what you may not realize is that warranty doesn’t cover your conversion. For that reason, we offer an extended service contract, so you can extend your protection with a contract that covers both your vehicle and conversion equipment! To better serve you with the option of a top quality service contract, Rollx Vans has partnered with Protective. With $63 billion in assets and over 20 years in the business, Protective can ensure that you get the peace of mind and level of comfort you expect. Unique in the industry, Protective’s Complete Coverage covers not only the vehicle’s factory systems and emergency road service, but can also cover mobility equipment! For more details about our extended service contracts, and to find out if a Protective Service Contract is right for you, check out the brochure below. Or call us at 1-800-956-6668 and ask for the Finance Department.